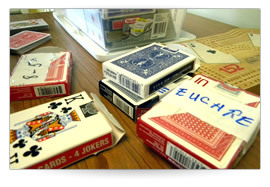 Join us every Monday and Wednesday for an enjoyable afternoon of cards. Bring a friend. Snack contributions and donations for coffee are appreciated.